“In view of the slowing credit growth, low share of real estate loans, and no apparent real estate boom, staff does not see a need to tighten macroprudential policies despite the low-interest-rate environment. 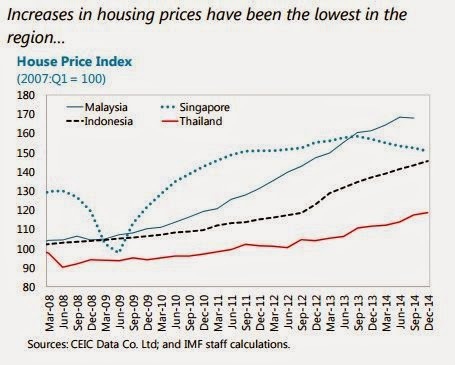 Looking forward, credit is expected to provide a smaller contribution to growth given the high leverage of households (…) Mirroring the relatively low share of real estate loans, Thailand has not gone through a real estate boom in recent years, except in selected urban locations. 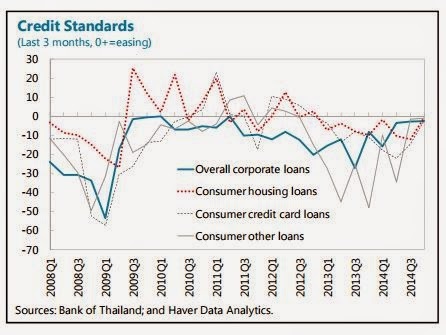 Mitigating the risks are strong financial buffers, with household financial assets at about twice the level of household debt.” says the IMF’s annual report on Thailand.